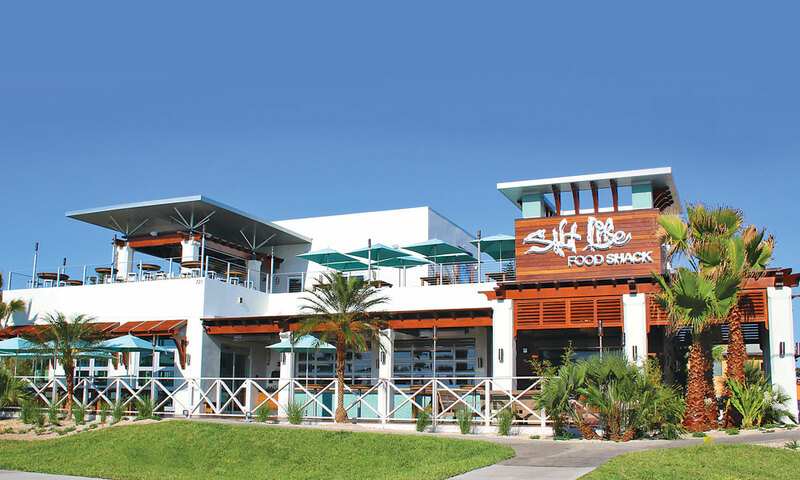 Salt Life Food Shack is a two-story beachside restaurant that specializes in fresh seafood and bar and grill entrées. 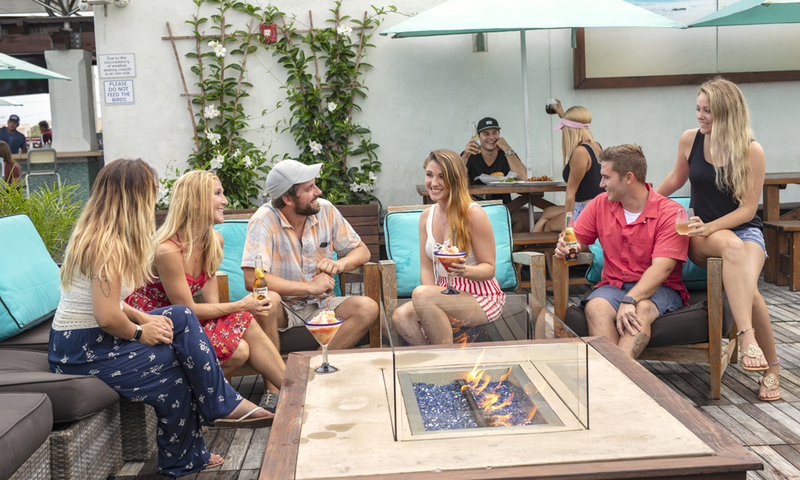 A breezy place to eat by the ocean, Salt Life offers burgers, tacos, sushi, refreshing drinks, and a salty atmosphere. Daily live music begins at 6:00 p.m. -- click here for more details. 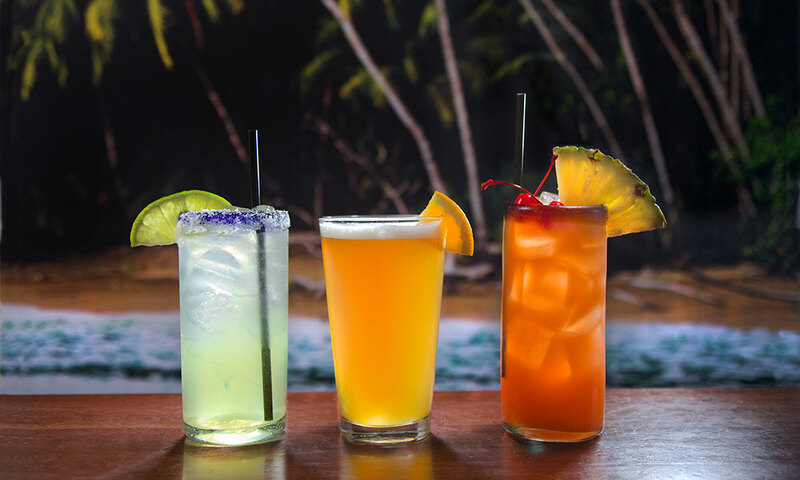 With a menu offering everything from Lobster and Shrimp Pasta to Skirt Steak or Rain Forest Shack Fish, Salt Life is committed to providing a friendly, community-driven restaurant where patrons can feel they are participating in “living the salt life.” It's an ideal place to go for a fresh meal, cold drink, and good time after a day in the sun. Salt Life has spectacular views of the ocean from their upper deck, along with a fully-stocked bar. There is free WiFi, as well as TVs for sports fans looking for a place to watch the game. Salt Life Food Shack is located across from the St. Johns County Ocean Pier in St. Augustine Beach. 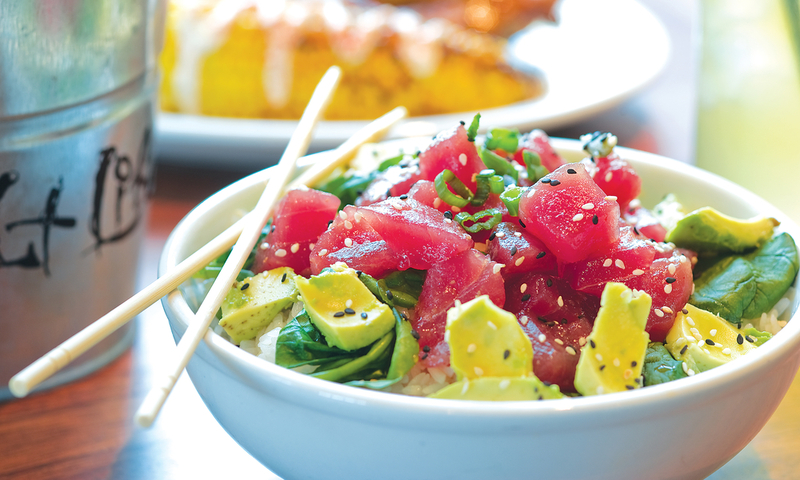 Salt Life Food Shack offers live music daily beginning at 6:00 p.m.
Caliche's Poke Bowl Straight from wishbones in Playa Jaco — fresh tuna seasoned with caliche’s secret marinade. served with steamed spinach over sticky rice. finished with diced avocados, green onions and sesame seeds. pura vida! 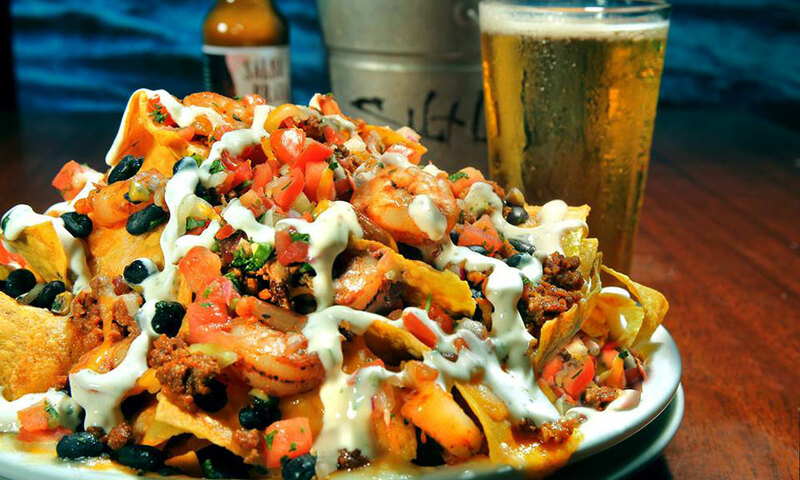 Shrimp and Chorizo Nachos Grilled shrimp and chorizo topped with corn, black beans, jack and cheddar cheese, pico and finished with a cilantro lime cream drizzle. Jose's Guacamole Made with fresh avocados, lime juice, tomatoes, cilantro and jalapenos served with tortilla chips. Boca Style Grouper Sandwich Breaded and pan-sautéed fish topped with fresh avocado, tomatoes and lettuce. finished with a boca lime drizzle. Crunch Roll Tempura battered shrimp, carrot, cucumber, and cream cheese rolled in a panko breading and flash fried. drizzled with eel sauce and wasabi cream. Oysters on the Half Shell Dozen oysters raw or steamed. served with cocktail sauce and horseradish. Wicked Tuna Tostada Fresh spicy tuna on a crisp tortilla topped with sliced avocado and drizzled with a wasabi cream and sweet asian sauce. Caribbean Shack Fish Seasoned catch of the day glazed with a teriyaki marinade, served over tropical fried rice with a diced caribbean vegetable chutney. Shrimp Taco Salad Sauteed seasoned shrimp served on a bed of iceberg & romaine lettuce tossed in a tomatillo ranch dressing. topped with mixed cheeses, black bean & corn salsa and pico, then garnished with fresh homemade guacamole and tortilla strips. Beach Boil Shrimp, snow crab legs, sausage, corn, onions and potatoes served in our seasoned boil. Been there twice now and was impressed both times. Staff is very cordial, food excellent, and atmosphere great for a beach dinner. I have been to Salt Life now several times and make it a point to try something new each time. I am yet to be disappointed. 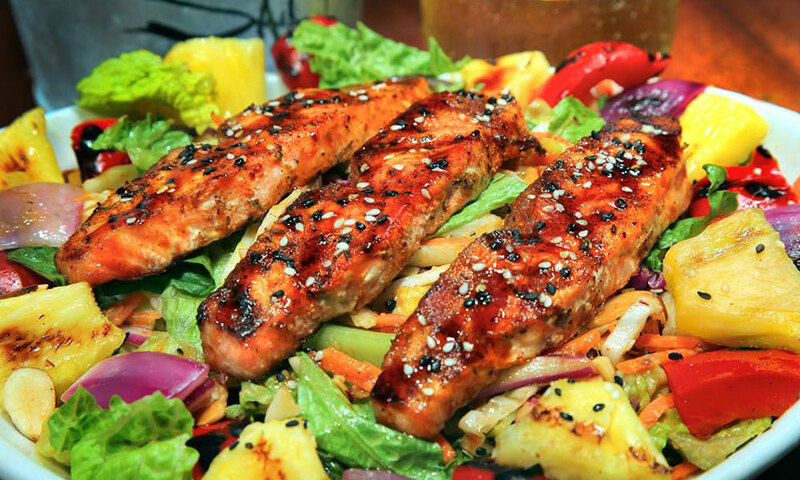 The menu has a great variety for all and the service is above par. Sushi AND drink specials...what more could you want?? Super great food and atmosphere!!! Our experience was wonderful, we have tried most every sea food restaurant around St Augustine and this is the best. The oysters are the best around as were the fried shrimp. My wife and I ate there 2 more times in our 5 day stay. Can't wait till Oct of 15 to come back. Fried Shrimp fresh and tasty! My experience was top shelf! From service to meal and especially atmosphere. Our server was quick and attentive. The fried shrimp were fresh and the deck and atmosphere was relaxed and fun. When I have guests. I know where to go. Great fried shrimp and wonderful atmosphere. Had the fried shrimp and I know my shrimp. They were very good. Service and atmosphre are top shelf. I'll be hanging on the deck.